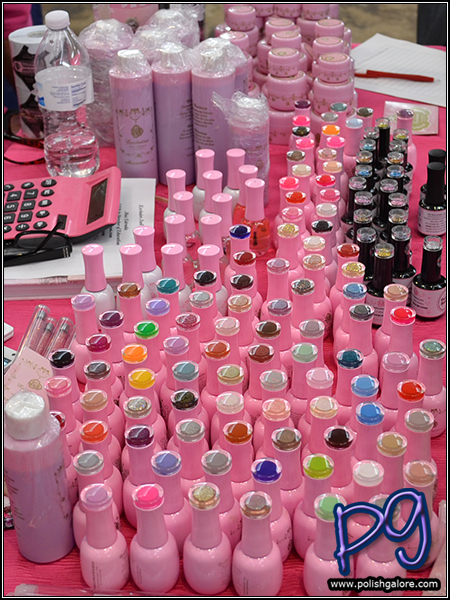 Last month, the Best lil' Nail Show Texas kicked off in Humble, Texas - just north of Houston. I first got wind of the show on social media and found their Facebook page. I asked if I could cover the show as press, and they allowed me to. Now this was a Pro Only - Cash & Carry type show which meant you had to be a licensed professional to get in, but you could buy from any of the booths available and most were offering deep discounts on their products. As media, I got a black band (no jokes on being black listed please) which signified that I could not buy product. My wallet rejoiced, my fingers did not but that's the life of an unlicensed "slightly obsessed with nail polish" blogger sometimes. 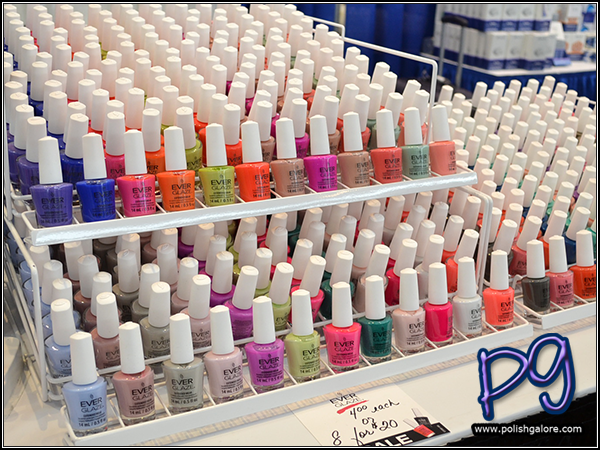 I have worked with pro-only brands here on PolishGalore but we could talk all day about that topic. We live about 4 hours south of Houston, so we drove up the day before and spend the night in Houston. Humble is a straight shot north, very easy to get to. When I got there, I had a surprise right at the door! Yep that's Andrea from Chickettes and Kim from Ten Little Canvases! I met Andrea at Cosmoprof back in 2014 but this was my first time meeting Kim, who lives in Texas! It's always nice to put real faces to the blog. We were allowed to go in the back door (and skip the crazy long line!) which opened directly to one of my favorites, CND! Y'all know that I have some love for Jan Arnold - she's always been so nice to me, despite the fact that I'm not a licensed professional. But what I was really excited about was the ridiculously crazy display of Creative Play. That's 80 shades of brand new goodness - think of it as the little sister to Shellac. So you have Big Sister Shellac... 14 days wear, cure with a lamp, soak off. 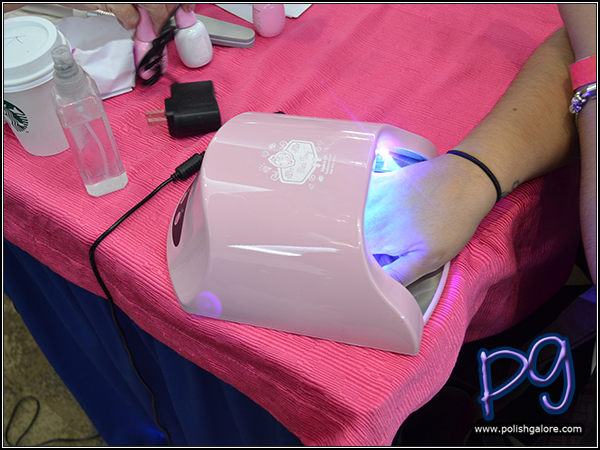 Then you have middle sister Vinylux - 7 days wear, air cure with sunlight, remove with polish remover. This is little sister Creative Play - less than weekly wear, good for retail, no curing, great for changing your polish every few days. Now, don't think that it ONLY lasts a few days - it does last as well as you keep it, but the price point is such that you can buy many bottles at once. The formula is also a little different, but more on that because I got some straight from CND (not from the show!) to play with. 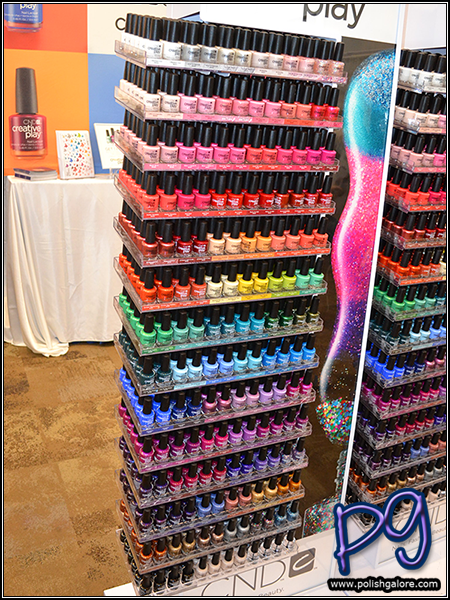 The bottom row also has CND's Creative Play Base Coat and Top Coat. 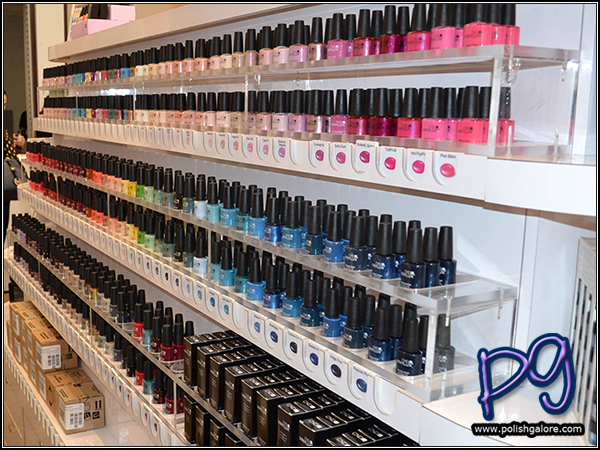 Drool - just shelves of Vinylux to play in. 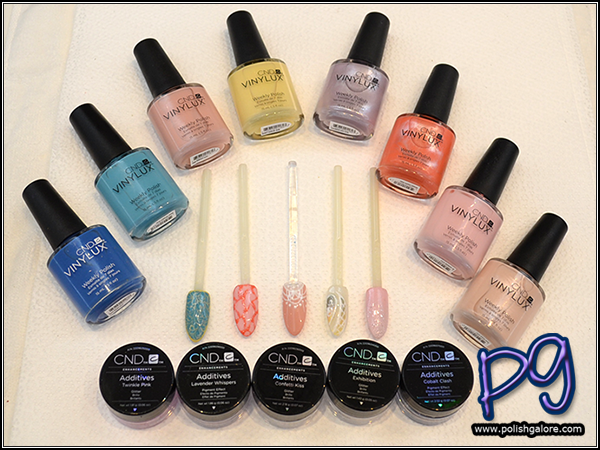 These were the looks created with the CND Summer 2016 Flirtation collection. Jan Arnold's look for the show created with AthenA Rocks. The hand showing off the look is from Heather Davis, CND Educator - Heather and Shelena Robinson (another CND Educator) created this look dubbed a #Janicure. More on what Heather had in another blog posting. 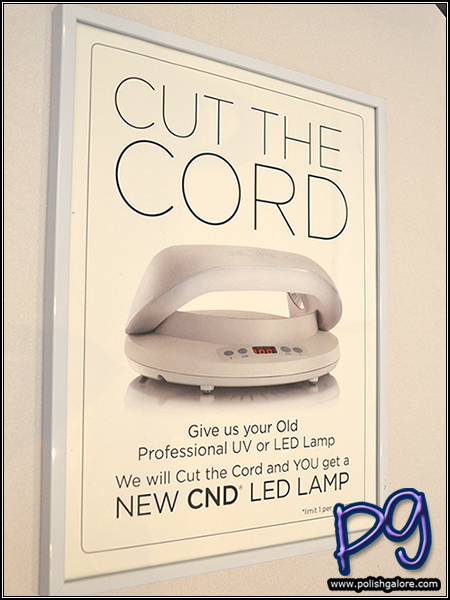 So the big excitement at the show was CND's #CutTheCord - they had over 800 lamps ready to give away and it went pretty well. Of course, some people cheated the system, and were caught, but overall it was very civil and people behaved. Now, I assumed this is in response to the Preen.me incident that happened... If you don't know what I'm talking about, Manic Talons had a very extensive write up here. Being that this was a Pro-Only, Cash & Carry show, there was a lot of things that I wasn't able to fully partake in. Some of the booths were ridiculously busy, and didn't have a media representative to talk to me. Other booths didn't really know how to work around me, as they were helping paying clients. 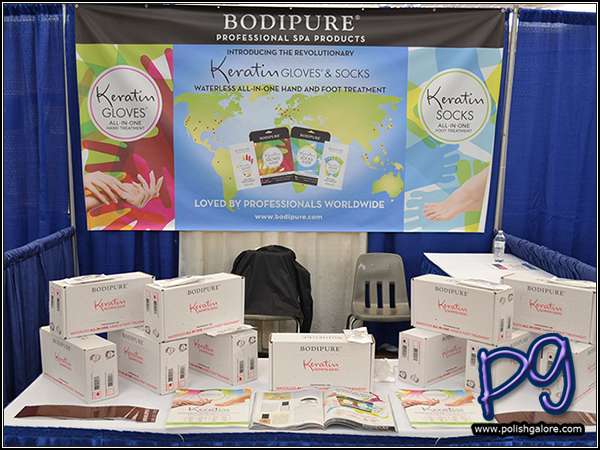 This is much different than Cosmoprof North America - which is a business to business show, no purchasing (although that in itself has evolved too), and media plays a larger role. I hate that I didn't get to talk to some of the bigger brands there like Tammy Taylor or ORLY, but it helps me with a game plan for 2017, if I'm able to return. I did try to start at the front of the show, and make my way down the aisles. Around 1100 people showed up to the ballroom on Sunday - the other show days were filled with technical classes for the licensed professionals, which from what I can see on Instagram, were amazing. 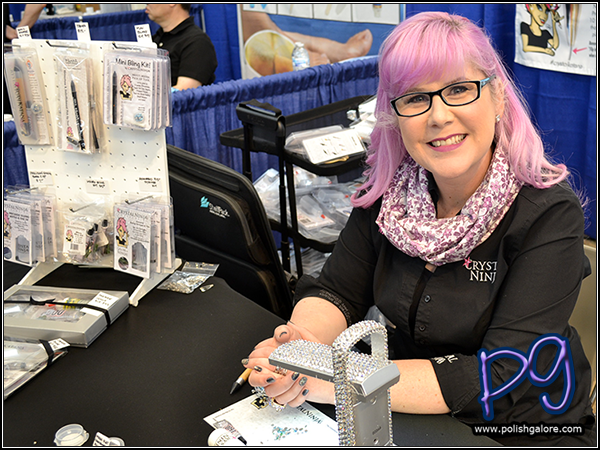 At the front of the show was amazing nail creations in a contest sponsored by 3D Fanatics - a group of Licensed Nail Technicians on Facebook who share their love of 3D Nail Art, founded by Nail Tech Kimberly Harr who was on site judging the creations. The prompt "Stars of Texas" was given, and there were two types of entries - OT were for those who had won 1st Place in the past and GH were the newbies who may have won other places in competitions but never first. 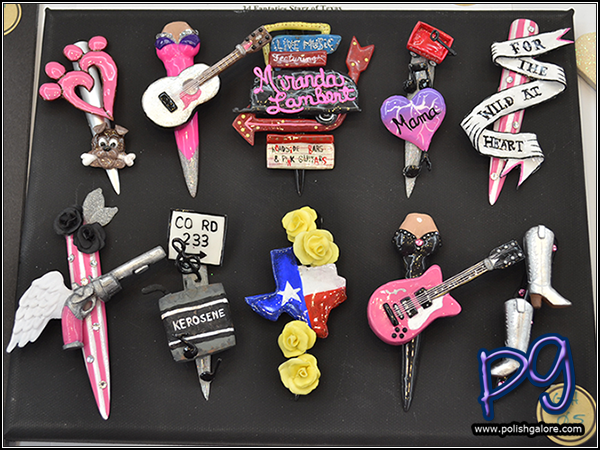 I really liked this set about Miranda Lambert which ended up winning 1st Place in the GH (Green Horn) category. SO SMALL WORLD MADE SMALLER. This set belongs to fellow blogger & licensed tech Amber Dunson from AmberDidIt! Amber and I have a mutual friend - Destany from Confessions of a Sarcastic Mom - and Amber found me as I was getting ready to leave the show so we had to take a photo. @amberdidit found me at @bestnailshowtx!!! 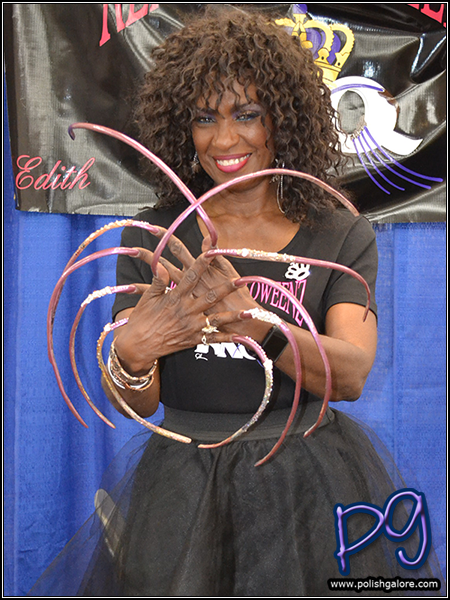 The next booth had some celebrities up in the house - don't you dare mess with these nails! It's the Real Nail Qweenz of Texas. These ladies were Fierce, but also very down to earth and lovely. Lena Cole (top), Edith Graham (middle two) and Ayanna Williams gracefully posed for photos for me. Next on my journey was Bodipure. 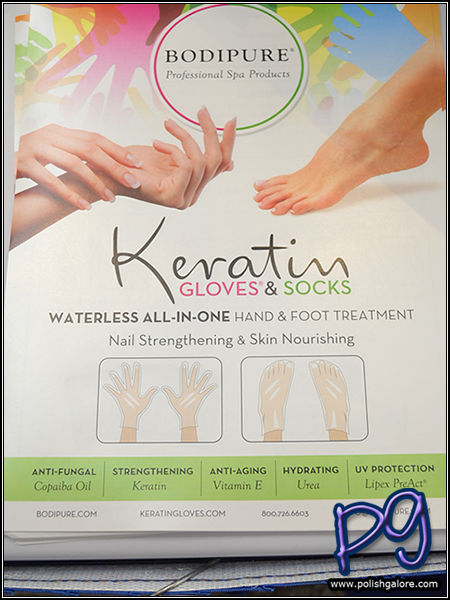 These single use, waterless, all in one and one time use gloves and socks are enriched with anti-fungal Copaiba Oil, strengthening Keratin, Anti-aging Vitamin E, hydrating Urea and UV protection with Lipex PreAct. They are also "touch screen friendly" so in the salon, you're able to still use your iPhone while wearing the gloves. I think this would be a great product for my nail technician to use because it's a small expense but offers clients a large upgrade in their service. I also got to see Exclusive Nail Couture by Max Estrada, a professional line of products ranging from gel, powders, removers, lamps, accessories, and equipment. For starters, it's a lot of pink up front, but there's some really neat elements to it as well like the Cotton Candy scented Monomer. This was a pretty busy booth when I went by it but was able to watch a demonstration of the gel - it's a 1 coat system but to show how effective the 1 coat was, 2 coats was used to show that the opacity really was there with just the 1st coat. At the front doors, I spied Social Claws who had an super blinged out amazing display of SUGAR - these ridiculously sparkly conflict-free nano crystal caviar. She had 3 lab-grown colors available at the show (and on her website) - Pink Aurora, Black Star and White Fire. They are reusable, cleanable, and shine super bright. It was hard to get the bling on camera - seriously. Best part of their company for me? She brings awareness on her Instagram to adoptable animals. 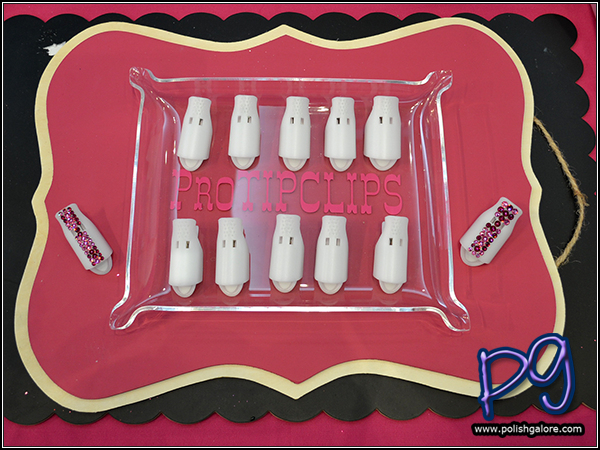 At the next aisle, I was able to speak to proTIPCLIPS, an easy removal system for all types of nail enhancements. Now the big plus here is that the stainless steel and high grade plastic can be cleaned in an autoclave, which is required by some states for salons to use for sanitation of equipment. Kick the foil system to the curb. Now, y'all know I love my Steam Off for my nails, but I couldn't use it on toes so this is where proTIPCLIPS really sold me - there's a set for nails and a separate set for toes that are slimmer and shorter. I know of a few people who would buy these without a second thought. I'm also a sucker for a story and the master nail tech, educator and veteran salon owner, Angela Blaisdell created this product after going through hundreds of dollars in foil wraps for her clients. She tested the final product for over a year before selling to the public and she was busy every time I walked by. I had a fan girl moment at Crystal Ninja. I've been drooling over Kellie's items since I saw her at Cosmoprof North America last year and she handed me her flip book of products. She is a Swarovski Authorized Instructor and I'm a Swarovski Christmas Ornament Super Fan and just lover of all things sparkly. (Seriously, I'm only missing 3 of the original ornaments but have the rest carefully stored in my house.) I want to buy her Crystal Katana (Mixed Media Pick Up Tool) for my crafty items here at home but as a nail tech? Man, I'm not sure I could do crystal, rhinestone, gemstone placement without one. I swiveled around the aisle to see Dazzle Dry in action doing a manicure on a woman who looked familiar but I couldn't place her right off. 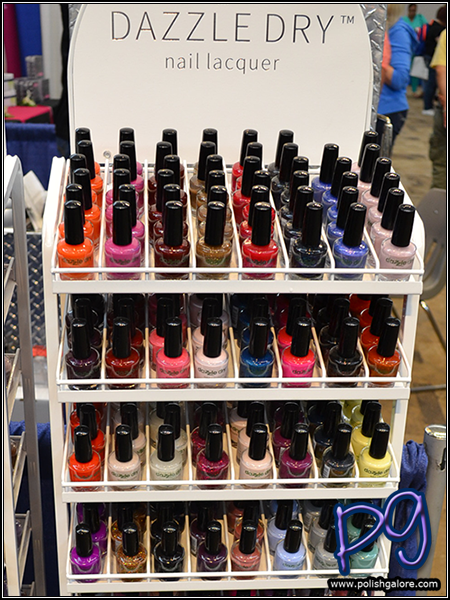 @dazzledry on @nailsmagazine here @bestnailshowtx a great combination! 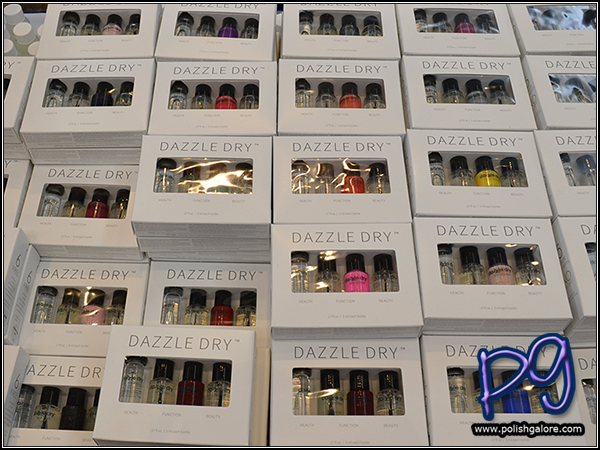 So Dazzle Dry - I've seen it advertised in NAILS magazine but I haven't really seen the product before. Turns out it's a very salon prestigious company, with 196 core and 4 seasonal collections (6 piece sets). 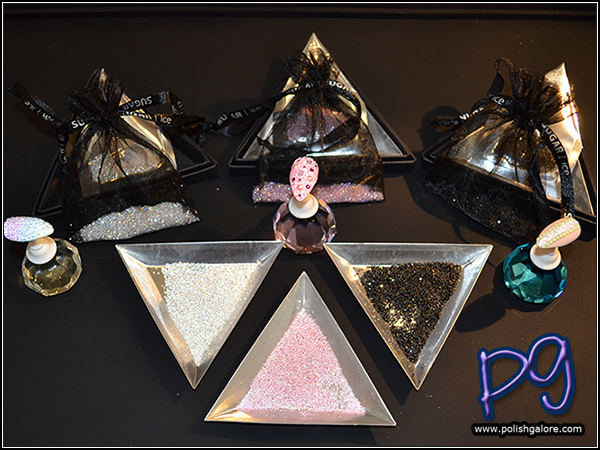 The shimmers are made with pigments because this is a 6 free, non-yellowing, vegan, no animal testing, YOU NAME IT line. For Dazzle Dry, it's all about science, quality control, and care - care for the product, care for the consumer, care for the earth. They have a great lemongrass remover enhanced with essential oils but wait, there's also a non-acetone version called Vivo'Sol that has spearmint and eucalyptus oils. Their Nail Prep is not dehydrating. They say their top coat is 5 minutes to totally dry. I can literally go on and on. But what really had me excited were these Mini Kits that were available. A great stocking stuffer, Secret Santa, just all around great gift for $20 - the Mini Kit has a Nail Prep, Base Coat, Top Coat and a color. More on that to come. 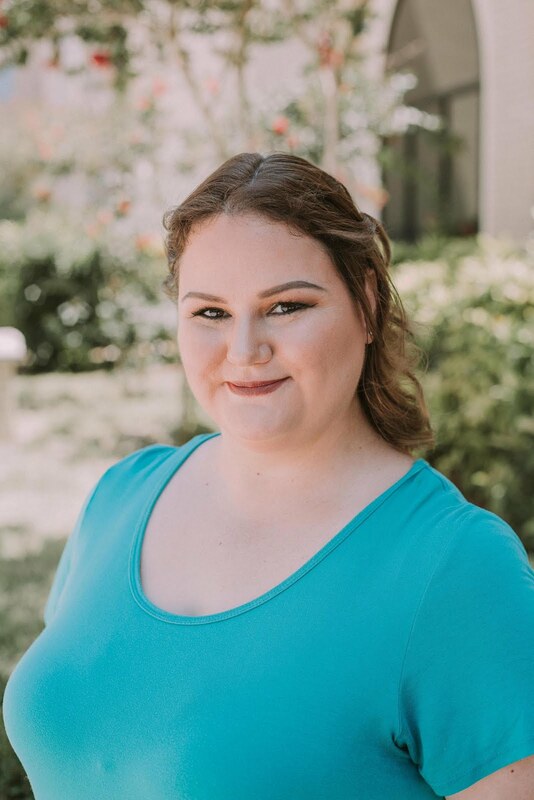 Dazzle Dry is committed to their product and while they sell to consumers on their website (YAY) and wholesale to salons and spas, you're not going to see this end up in your local drugstore or other brick and mortar store. I have a love/hate with stores because that means you have to find one to go into, but I also like holding product in my hand - like this polish. I totally didn't get the name of this polish written down and I love it but looking on their website, I can't tell what color it is. Monitors only reflect so much, you know? 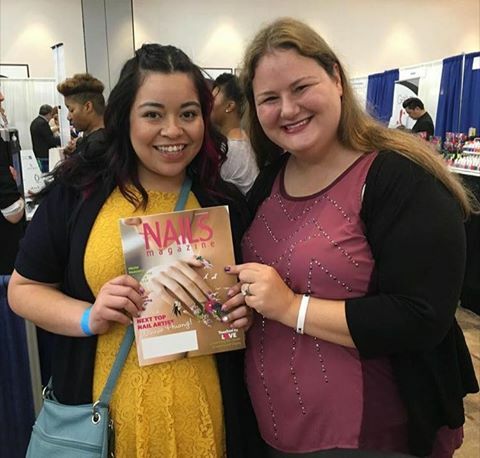 Speaking of NAILS Magazine, I was so happy to run into Sigourney Nunez, Associate Editor. I met her a few years ago, before she got her professional license, but just hadn't had a chance since to see her. It's always so much fun to run into people who just love nails. I was able to stop at Essie as well and talk to Gino Trunzo, Director of Education. He did two amazing things - one, he introduced me to the new Apricot Cuticle Peel, which I'm now obsessed with and want to buy immediately. And secondly, he let me try a top secret product which isn't launching for a couple of months. Now, I know that other publications have been given the green light to talk about this delightfully twisted product, but I have not, so sorry PolishGalore readers - you're kept in the dark for now until I'm given the go. Just let me say that Gino was so proud of it - 3 years in the making he said, and I was pretty happy with it too. @essiepolish brand new waterless apricot cuticle peel. Just one to two drops and wait 15 seconds and remove. I also got to check out the 1000th Essie Shade from the 2016 Shimmer Brights Collection called "Aim To Misbehave". This yellow has a shimmer in it to make it more opaque (because if you read this blog, you know how much I hate yellow because it's normally a streaky mess). I may have to check it out for opaque testing. I stopped by China Glaze next and you KNOW they are my first love in polish but unfortunately everything was just lined up for selling and no one was really available to talk. Summer Favorites which still need to come home with me. Both EverGlaze and Gelaze were available for purchase as well. While there was still more show going on, we had to head back home and I was starting to get a nasty sinus infection, so I had to say goodbye and head out the doors. 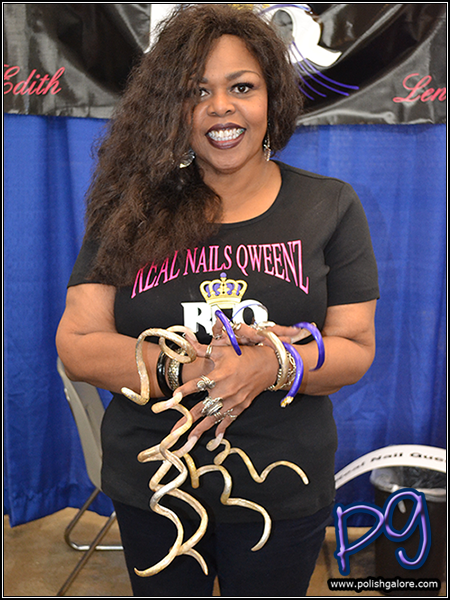 Overall, I enjoyed the show and meeting up with the different brands that I was able to, and I look forward to seeing more from the Best lil' Nail Show Texas in 2017!